Behind the scenes of any theatre is a team of hard-working designers and seamstresses aiming to get actors and actresses looking their part. 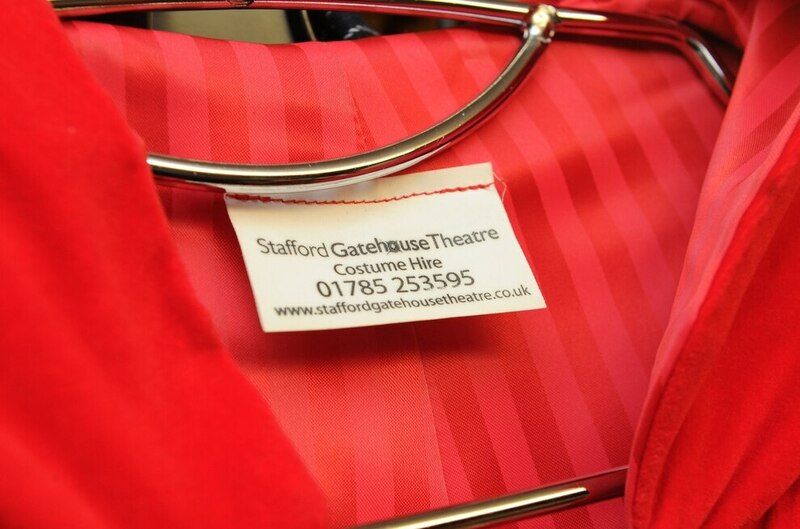 And Stafford Gatehouse Theatre is no different with its costume stores full to the brim with enough clothing and accessories to dress more than 5,000 different characters. 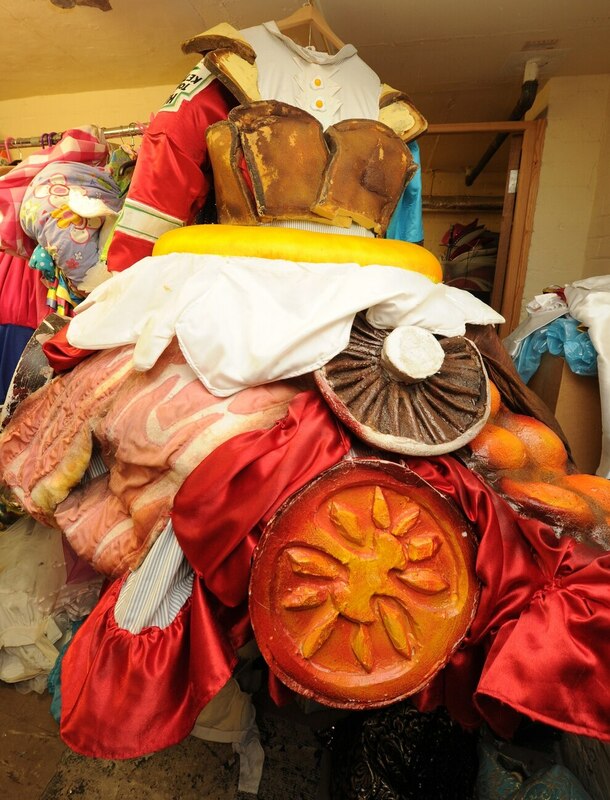 From Lady Macbeth's hand sewn woollen cloak to an outlandish pantomime dame dress featuring a full English breakfast - they are all stored away once a production has drawn to a close. But now staff have begun the painstaking task of cataloguing every item so that rather than gathering dust, they can be hired out to amateur groups and other performers. 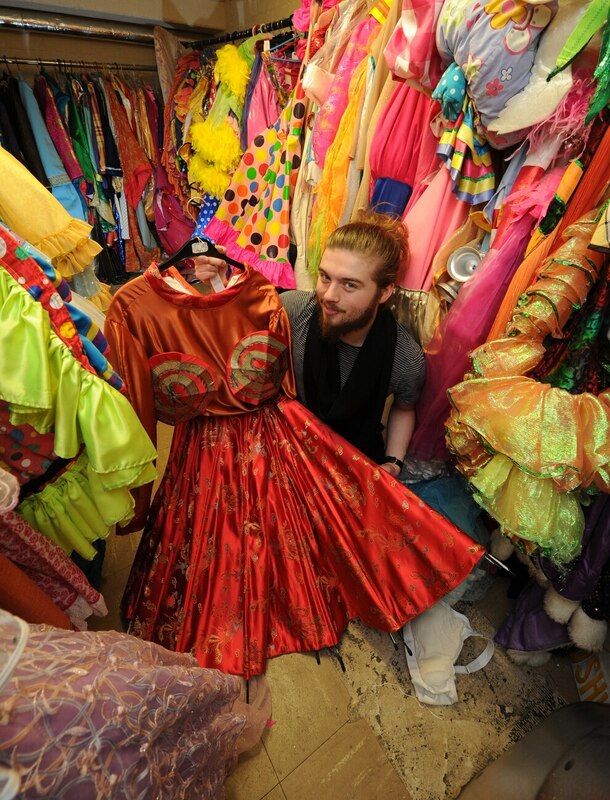 The costumes date back to when the theatre first opened its doors in 1982 and include those created especially for the open-air Stafford Shakespeare Festival production, which has been running since 1991. 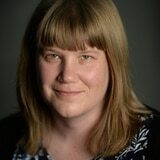 "It's such an untapped valuable resource for schools and theatre groups and a great snapshot of the theatre's heritage," says marketing and sales manager Jemma Harrison. 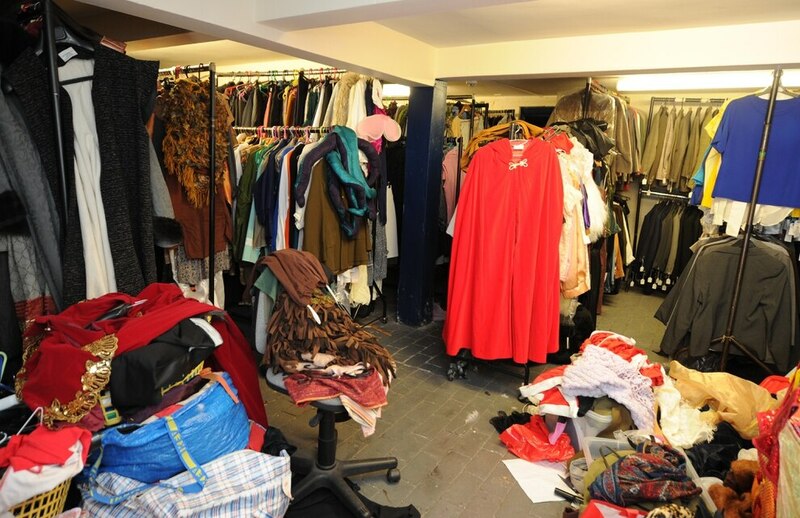 Most of the costumes and props are stored in the basement with staff making the most of all available space in the venue, which was formerly the Borough Hall housing offices and an assembly hall. 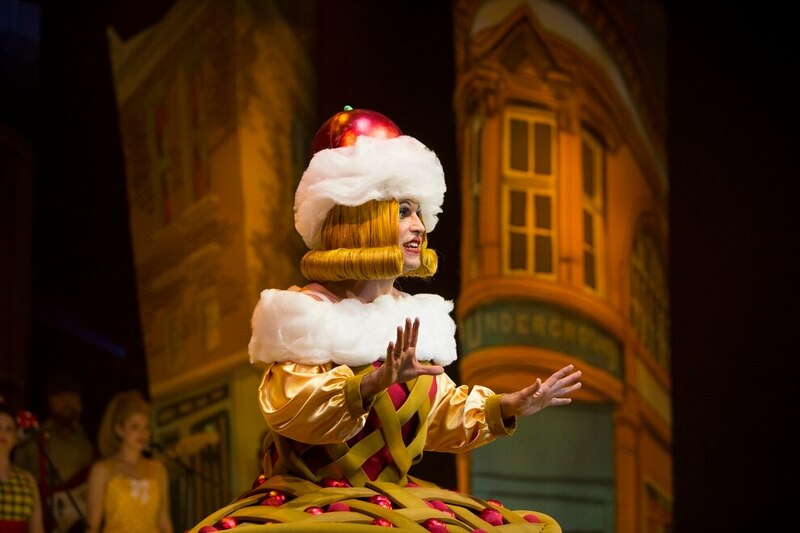 "The building wasn't built as a theatre so we've had to make the most of every nook and cranny," explains production co-ordinator and company production manager Wes Carter. 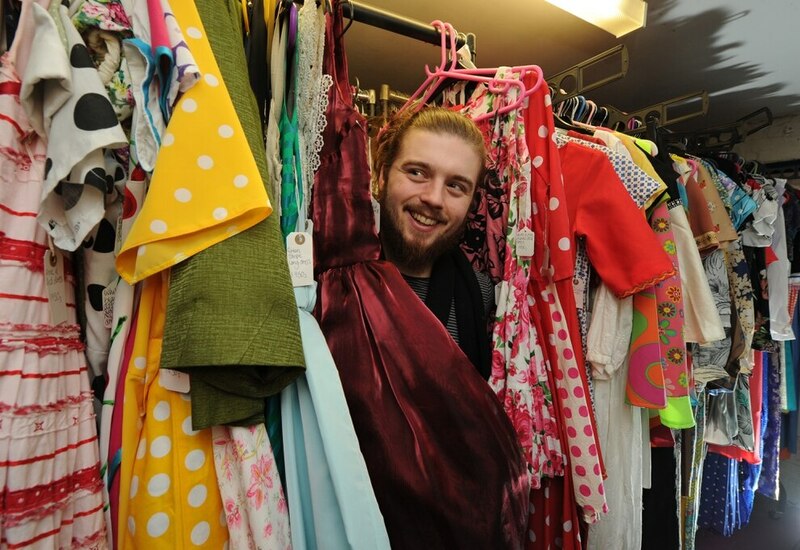 The main room is bursting with men's period suits and jackets, glamorous ball gowns, cloaks and shawls as well as accessories including shoes, waistcoats and fairy wings. 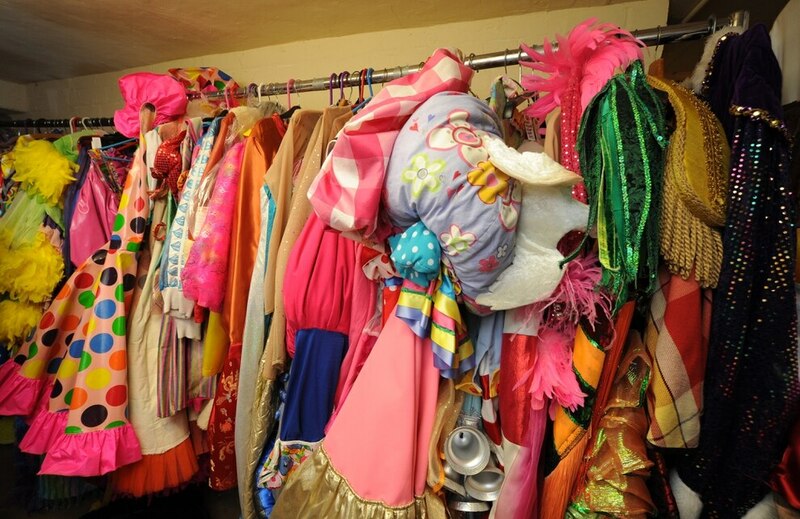 There is also an entire room dedicated to pantomime costumes and every colour under the rainbow greets you as you walk through the door. 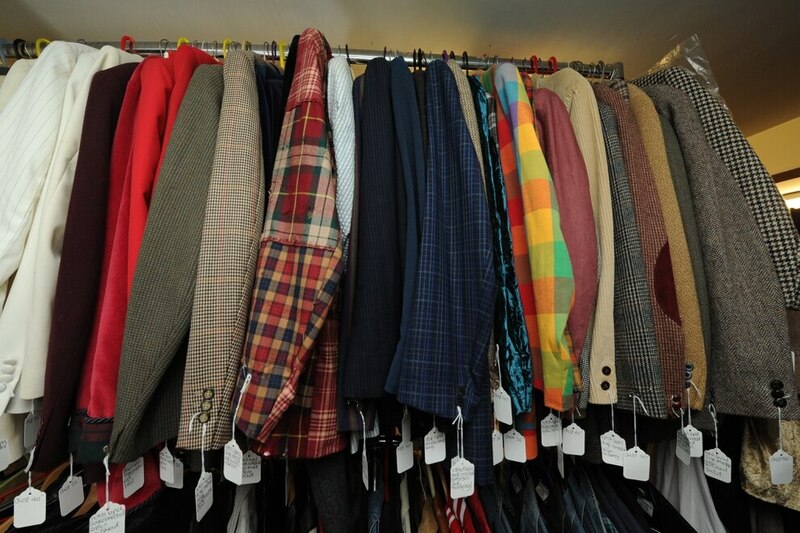 "This is where we keep the more outlandish pantomime costumes. These are always fun and full of glitter and big frocks. Every year they get bigger and better and more ridiculous," says Wes. The full English breakfast dress complete with toast, bacon, ketchup, tomatoes, mushrooms and black pudding immediately catches the eye. 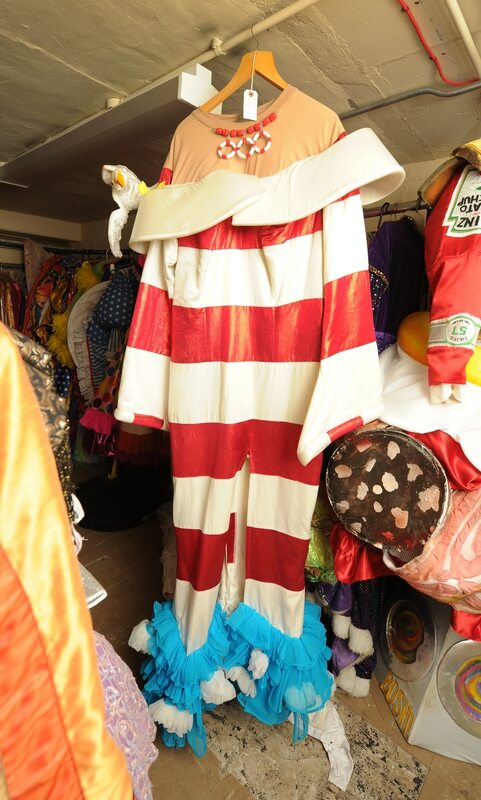 There is also a red and white striped lighthouse costume which even features a seagull perched on one of the shoulders. 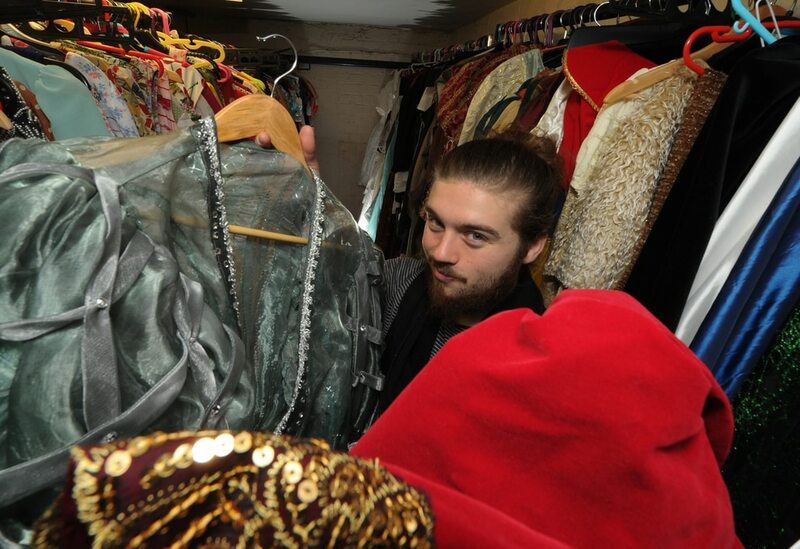 At the moment the theatre hires out a small number of costumes but the plan is to create a full inventory of every item so more people can take advantage of what's available in the collection. Unfortunately over time records of what has been stored have been lost so staff are now logging every item and matching them up with production photos. "I've worked here 11 years so I remember a lot being worn on stage but we've had to check photographs and there a few that we don't recognise," says Wes. The team are going through the garments one by one. "The first thing we have to decide is what we are going to keep and what we think is no longer in a good enough condition. "Then every item is put on a mannequin and photographed. Then we label it and put the size and short description on the label. Then it goes into the inventory and we eventually it will go on to a hire website. "It's been quite long-winded. We began in September and worked for eight weeks solid. Then we took a break for panto and our youth theatre season has been keeping us busy. "But we will be starting again soon.The idea is that we will be able to hire more out and it will also being in revenue for the theatre," explains Wes. 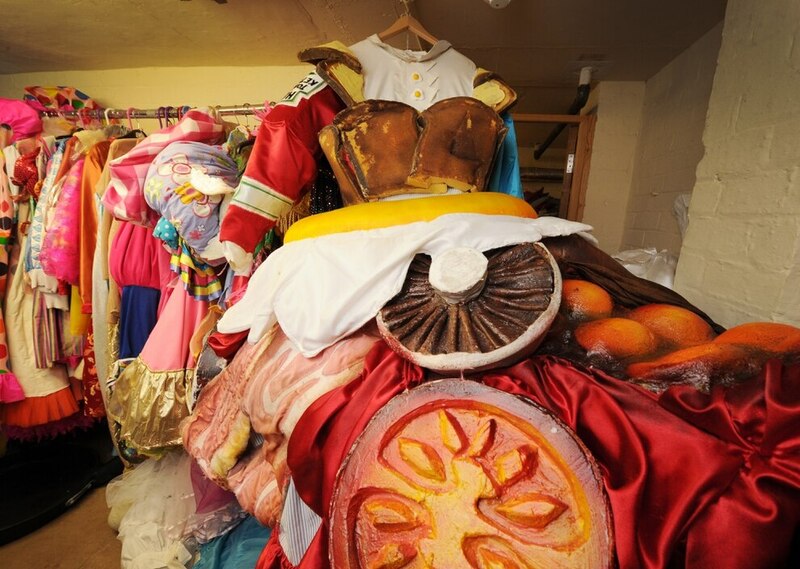 The theatre also wants visitors to be able to get a closer look at the elaborate and beautifully-made costumes and plans to put more on display around the venue. At the moment a cloak worn by actress Rosie Hilal who played Lady Macbeth can be seen by everyone who walks into the foyer. 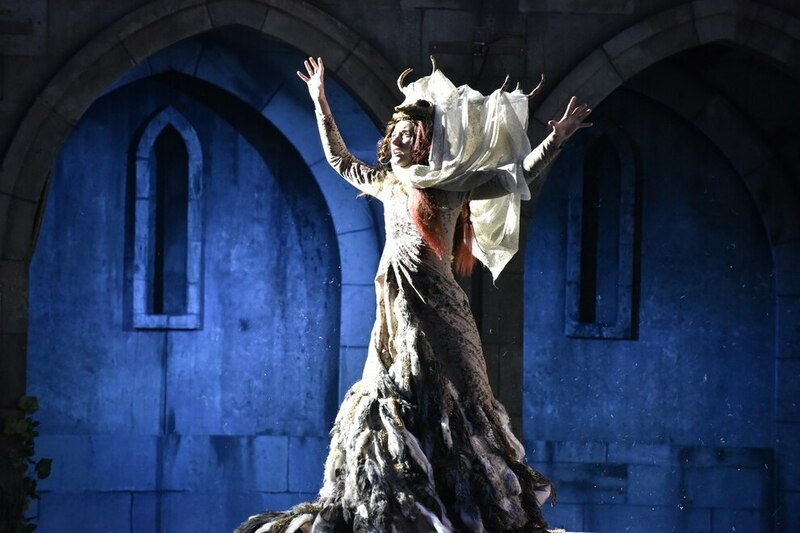 Some of the most spectacular costumes in the collection are those that have been made for the annual Shakespeare play staged in the atmospheric surroundings of Stafford Castle. "I think the most impressive costumes are the ones we have made for the Shakespeare productions. For the Tempest in 2017, it was all the glamour and elegance of the 1930s with fancy dancing and cabaret style. "Othello in 2016 was set in 1950's Cyprus where the British Commando 40, led by Othello, has set up camp and we had lots of military costumes," says Wes. 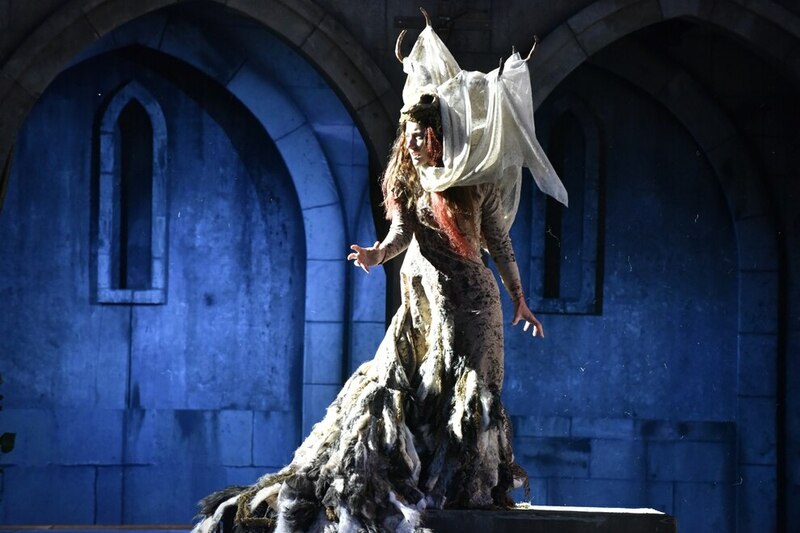 Last year's authentically medieval production of Macbeth, saw the team create more than 30 costumes by hand. They were dressing the cast of 19 actors as well as the stage manager and technicians who also needed to look the part. One of the most memorable costumes was that made for the character of head witch and leader of coven Hecate. 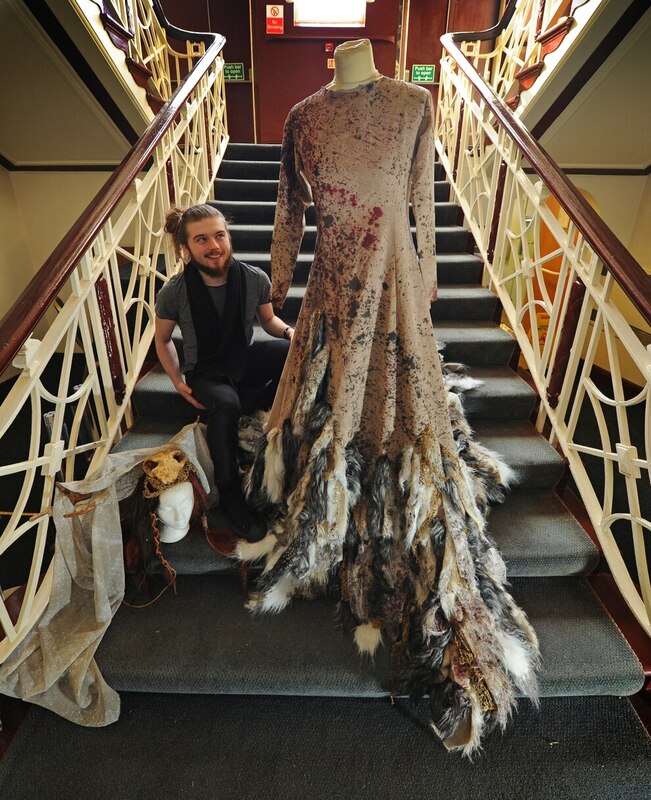 Her ghoulish and gore-covered gown which included a flowing skirt made with strips of material and fake fur was designed to send shivers down the spine. "This is the scene where the three witches congregate and meet the head witch. 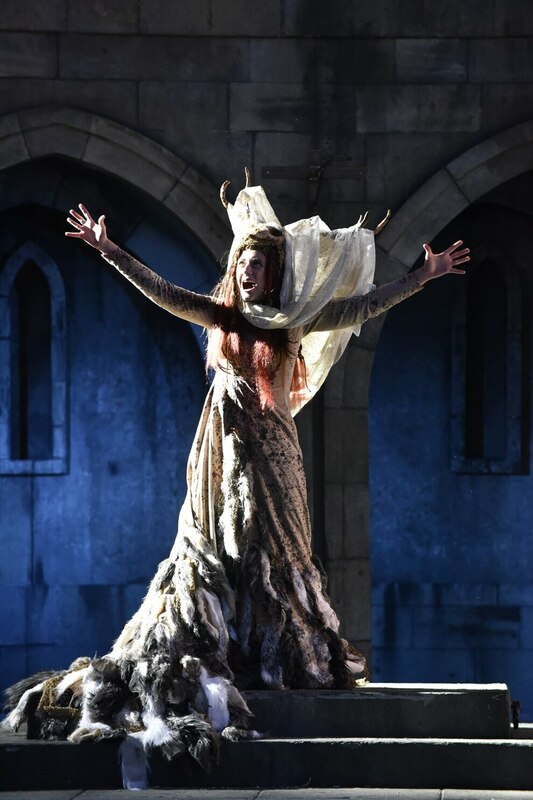 It's quite often cut from other productions of Macbeth but we left in as it's quite an operatic moment when she reveals herself to the three witches," explains Wes. The costume which also includes dramatic skull headpiece would have involved up to 40 hours of work. 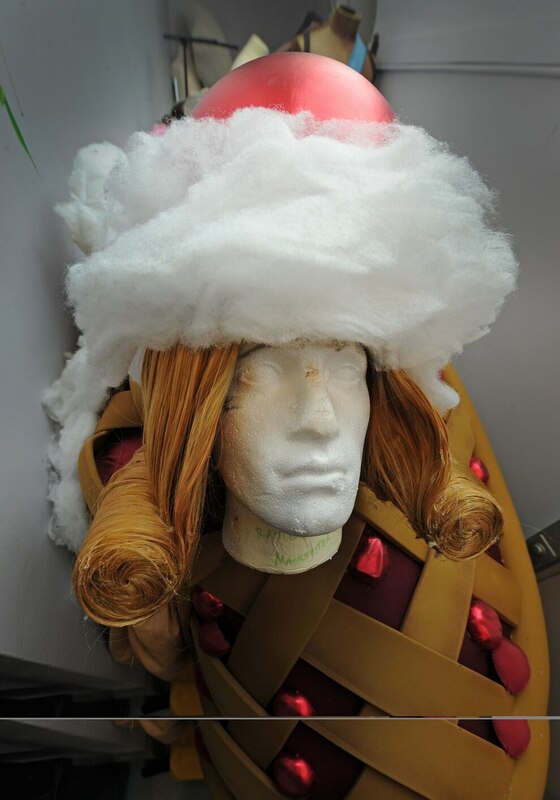 "A lot of effort goes into making just one costume so with over 30 to make it's a long process," says Wes. 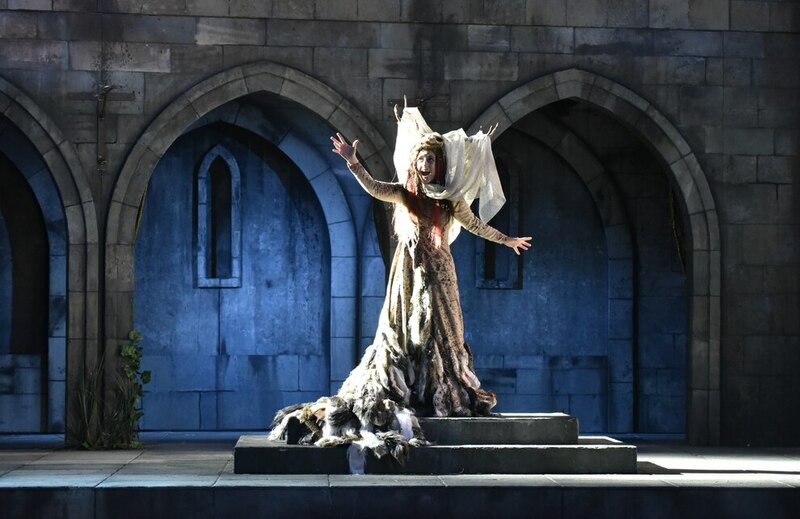 Work to design and make all of the garments needed for this year's epic production of the The Merchant of Venice is already getting under way. In this new interpretation, Shakespeare's masterpiece will be transported to 1950s New York, a city where communities are divided by wealth and religion. Featuring the iconic figure of Shylock, one of Shakespeare's most complex characters, it is described as a compelling story of money, love, and prejudice. 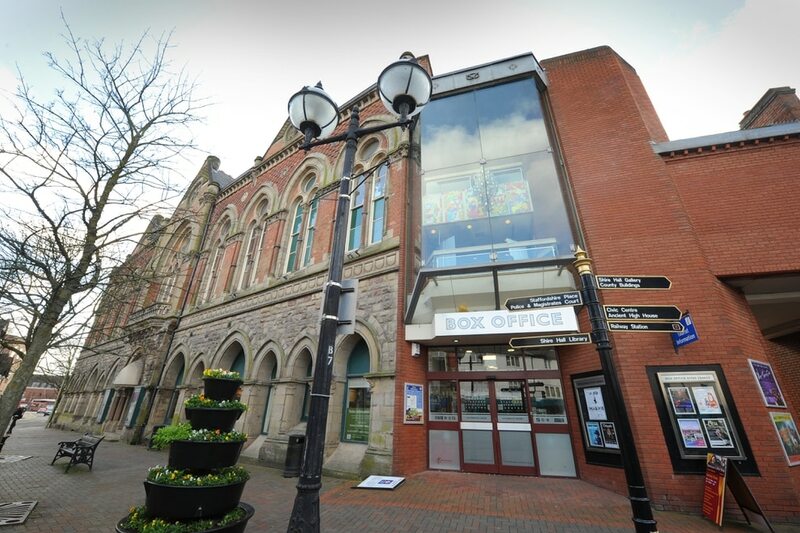 It will be the first time this particular play has been presented in Stafford during the festival's 29 year history. "We will be casting at the end of the month. We have six female and six male characters. There aren't actually six women in the Merchant of Venice but we decided some could be gender fluid as the play looks at gender roles in interesting ways," says Wes. 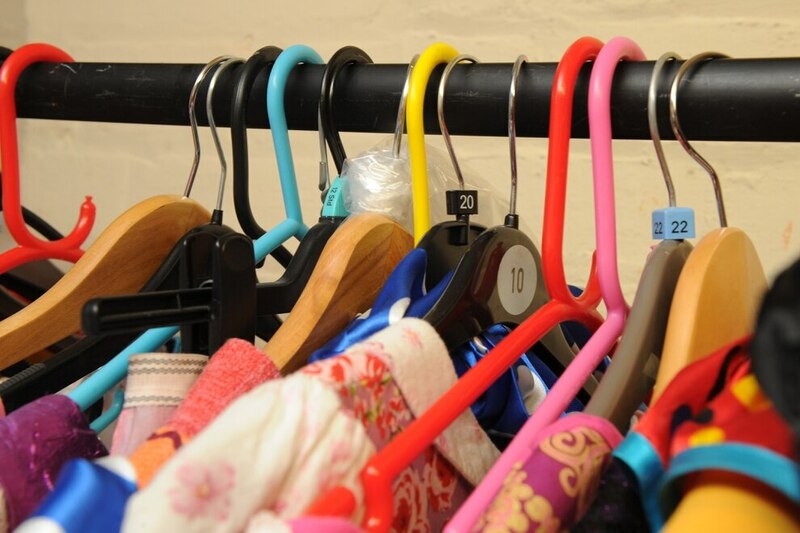 Costume designers are already working through initial concepts and between April and June the wardrobe team will be busy bringing the different outfits to life before the opening night on June 27. "There will be lots of colour, swing dresses, mackintosh coats and Godfather styles," says Wes. 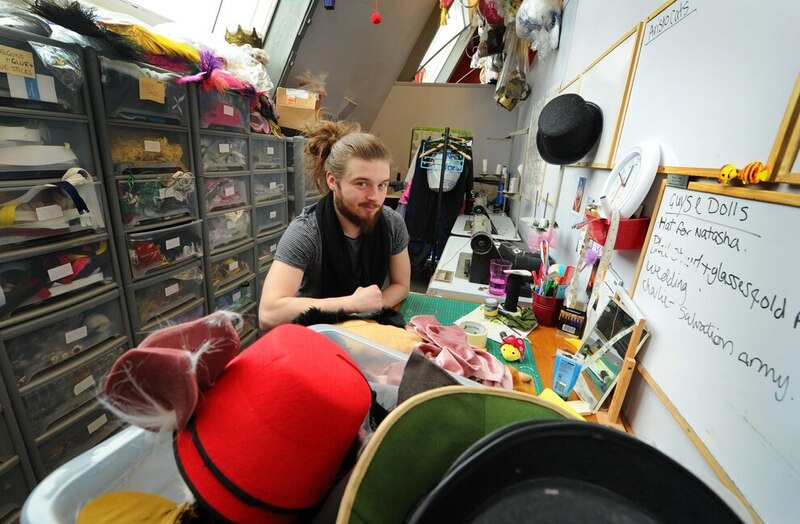 Theatre manager Mark Farley, who took over the reins in August last year, says the wardrobe department is 'an integral part' of the theatre. 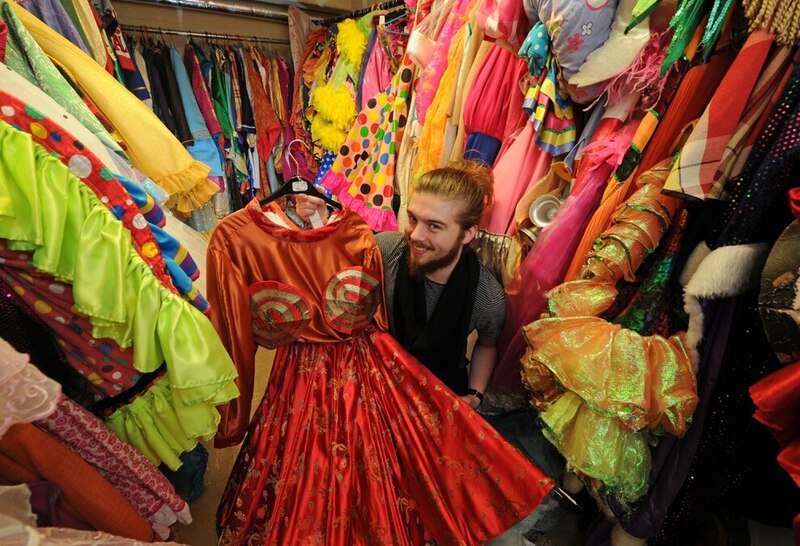 "Freedom Leisure have become the custodians of an extensive and elaborate collections of costumes from a wide variety of performances, there is everything from medieval period costumes to pantomime dames and cows. "To make sure these works of art don’t just sit in the costume store we have started to display these around the building so everyone can see the intricacies of the work involved. 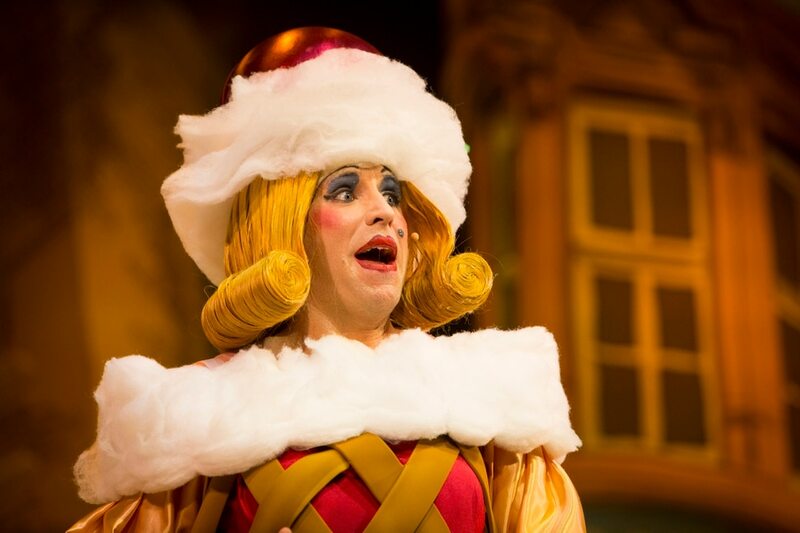 "We have a huge resource of props and costumes which are being used more and more by local school children and community groups, as part of our ambition to make our theatre accessible to all and we will be developing the costume hire aspect of the business over the forthcoming months," he adds.